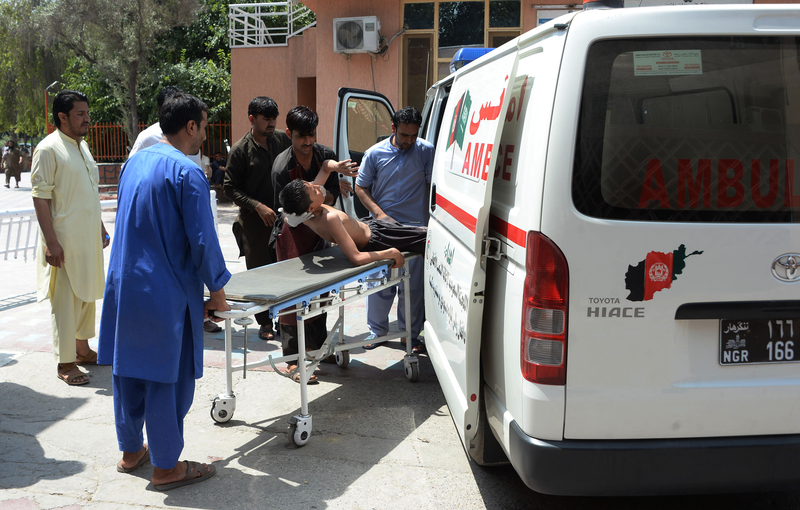 JALALABAD -- Civilians once again bore the brunt of the ongoing violence in Afghanistan as two separate attacks Tuesday (July 31) killed and wounded scores of innocents. Gunmen stormed an Afghan government building in Jalalabad during a meeting with foreign aid agencies, while on the other side of the country in Farah, a roadside bomb apparently intended for security forces hit a bus. 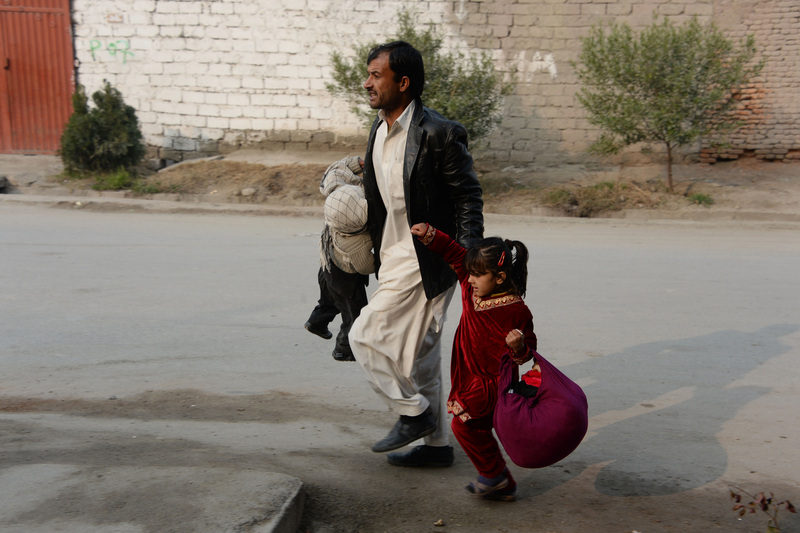 The attack in Jalalabad targeted the compound of the refugees and repatriations department. It ended after more than five hours of intense fighting between militants and security forces, said Ataullah Khogyani, spokesman for the provincial governor. At least 15 people were killed and the same number were wounded, Khogyani said. Provincial health director Najibullah Kamawal said some of the dead were "burned beyond recognition". Local representatives of foreign donors and agencies were meeting department employees inside the building when the attack began with multiple explosions, Khogyani said. "All the partner agency representatives attending the meeting were Afghans, and those who were stuck inside, including the director of the refugees and repatriations department, were rescued," Khogyani said. The raid began with a suicide attacker blowing up a bomb-laden car at the entrance. "I saw a black Corolla car drop three armed men at the gate of the refugees and repatriations department," a witness told AFP. The attackers took several hostages, said Zabiullah Zmarary, a provincial council member. Security forces swarmed into the area, and a plume of thick black smoke rose into the sky above the compound. The men who stormed the building were later killed. The Taliban denied involvement in a WhatsApp message to journalists. 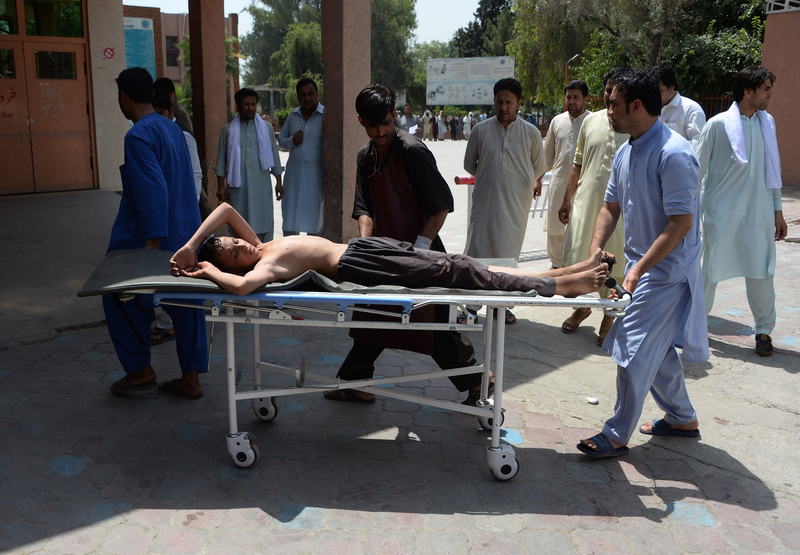 Although no group immediately took responsibility for the attack, the "Islamic State of Iraq and Syria" (ISIS) group claimed responsibility for the Saturday (July 28) attack in Jalalabad on the midwife school, which left at least three people dead and several wounded. In Farah Tuesday, the bomb that hit the bus killed at least 11 and wounded 31. "It was a bomb planted by the Taliban to hit security forces but ... it got a bus," Farah provincial police spokesman Muhibullah Muhib told AFP. The Taliban issued no immediate acknowledgment of responsibility. President Ashraf Ghani condemned the bombing. "Harming civilians, especially scholars, children and women, is against the Ulema Council's fatwa," Ghani said in a statement, referring to the council's proclamation in June declaring suicide attacks and explosions "haram". In a separate incident, gunmen Monday night (July 30) kidnapped 22 passengers travelling on a Kabul-bound bus in Paktia. Officials blamed the Taliban for both incidents.